Free workouts at local gyms and free internet access plus a down-to-earth price make the Suburban Extended Stay Kennesaw just right for stays of a few days to a few weeks. 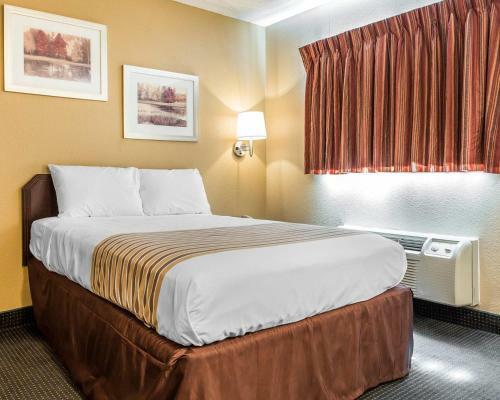 This 148-room hotel on three floors offers self-catering accommodations with full kitchens that include a refrigerator microwave two-burner stove coffeemaker and the utensils for cooking and eating. 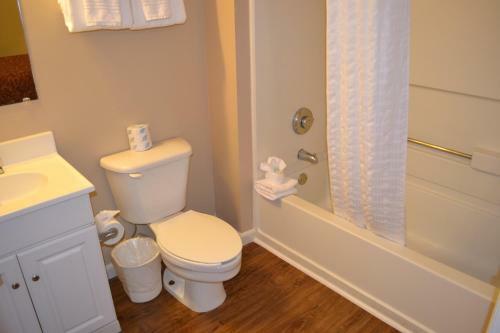 All units have free high-speed internet access (two floors have Wi-Fi) premium cable TV and free local calling. You can spread out papers and still have room for a computer on your work desk. And as for floor space there's plenty of room to get your work done or lounge around. Non-smoking rooms can be requested. Weekly housekeeping is provided and more frequent refresher housecleaning is available (fee). The hotel offers guests free passes to Gold's and Bally's gyms. There's a coin-operated laundry facility on-site. Fax and other business services are available for the road warrior and parking is available on-site. 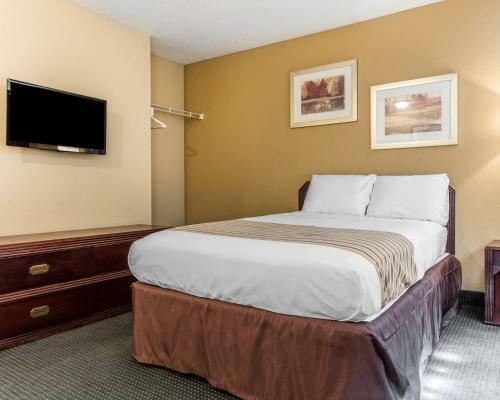 The Suburban Extended Stay Kennesaw is located just over a mile from Town Center at Cobb mall. Other shopping centers and restaurants are within a 10-minute drive. Kennesaw State University is less than two miles from the hotel. Atlanta is 30 minutes away and Hartsfield-Jackson Atlanta International Airport is 34 miles. 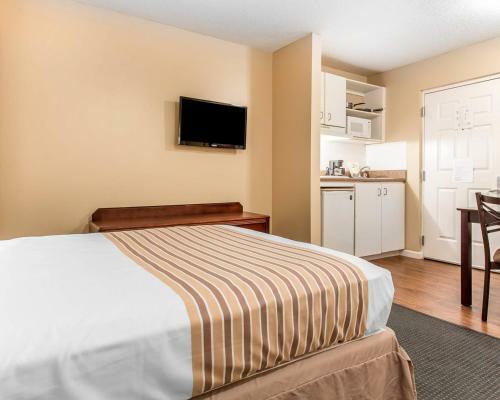 Add Suburban Extended Stay Kennesaw to your free online travel itinerary.